For catering the variegated needs of our clients, we are deeply engrossed in offering a qualitative array of Professional Document Fire Safe. Lock-down period can be set from 1 to 48 hours. 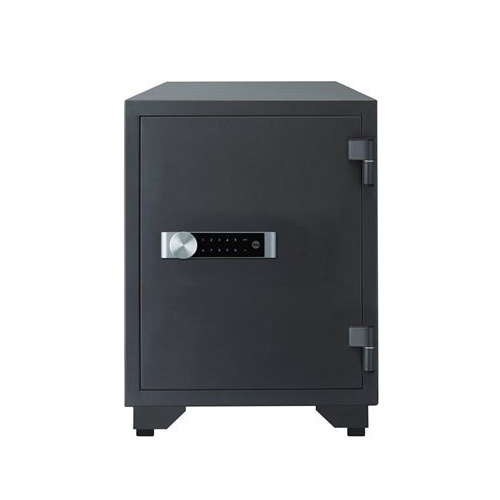 Safe can be shut down and cannot be activated for a given period - ideal if you are away and have other people entering property. We “Akshar Furniture” are engaged in trading a high-quality assortment of Digital Door Locks, Door Closer, Lever Handles, etc. We are a Sole Proprietorship company that is established in the year 1992 at Vadodara (Gujarat, India) and are connected with the renowned vendors of the market who assist us to provide a qualitative range of products as per the global set standards. Under the supervision of "Mr. Brijain Prajapati" (Proprietor), we have attained a dynamic position in this sector.